Apples latest Release is the Apple iPhone XR, XS and the XS MAX which are soon to hit stores very soon and here is what you need to know about the newest apple products. 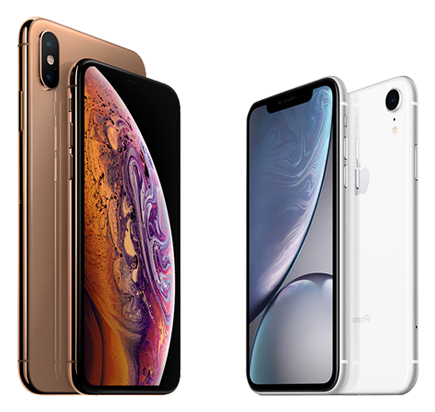 The iPhone XS, iPhone XS MAX and the iPhone XR have officially been announced and are just around you’re just around the corner from being able to grab these latest smart phones. The iPhone XR is apples answer to a cheaper alternative to the iPhone X. It’s not the first time apple has released a product like this, if you’d like to cast your mind back to when the iPhone 5C and iPhone SE were announced and released, however these devices didn’t do as well as some people would like to think. The new iPhone XR shares a lot of similarities to the iPhone X, however to start of with, it’s cheaper.. a whole lot cheaper, not only is it cheaper, it comes with a slimmer feature and a smaller battery along with more vibrant colours to choose from. A 6.1 inch LCD screen with a nice 1,792×828 pixel resolution. Price starts around £749 but this may vary on mobile or sales provider. The new iPhone XS and MAX have been fitted with an oled screen, very similar to previous iPhones, however this new oled screen gives you a deeper HDR effect.